That's what I love about Donna's recipes. So adaptable to ones taste. Like using the Feta instead of the goats cheese. This one looks perfect. Thanks for stopping by, & yes so adaptable! 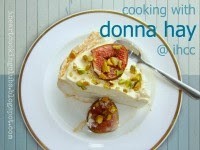 Mairi, I totally agree about recipes in general, and about Donna's in particular. This tart looks and sounds gorgeous, and I love the changes you made to the recipe. Looks like an absolute winner for summer. I love lemon and feta with zucchini so would enjoy this tart immensely. Perfect for summer (or for something light and bright on a rainy autumn day). Thanks Zosia, perfect to brighten up an Autumn day & remind us of Summer 😊 And yes I seem a little addicted to lemon & feta at the moment. Lovely tart! I would like to have a bite of it, fresh, light and tasty. So pretty! I love the long narrow tart pan ... always like the way a finished tart looks coming from such a pan! The colors in this tart are fresh and summery! Lucky you to be plotting beach time in November! Here in the northern hemisphere, things are decidedly chilly! Thanks Susan…I do too 😊 Yes Summer seems to have come early….need to make the most of it…it'll be gone before we know it! Such a delicious looking tart! And the addition of lemon and chilli sounds good to me! It is wonderful that you have used filo pastry. Your tart looks so good served with the veggie salad and tomatoes!